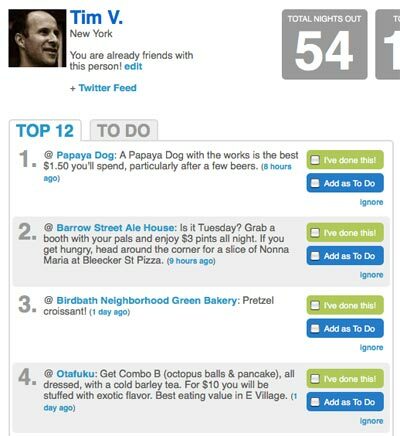 Using Foursquare by yourself is like playing tennis alone. The fun lasts about three seconds. In geekier terms, it’s like having zero followers and following no people on Twitter. To get value from Foursquare, your friends need to be in on the action, too. Then you can use the app to meet up, share tips, and find stuff to do with when you’re bored, among other things. Unlike Facebook and other social networks, friend count doesn’t show up as a profile stat. In Foursquare, you get rewarded for things you do, not people you add, so there’s really little incentive to add strangers willy nilly. However, when you check into a location, you’ll be able to see who else is there, which could be an opportunity to meet like-minded people and make new friends in real life! In order to become mayor of a venue (the user who checks in the most in the past two months carries this title), you must have a profile pic. 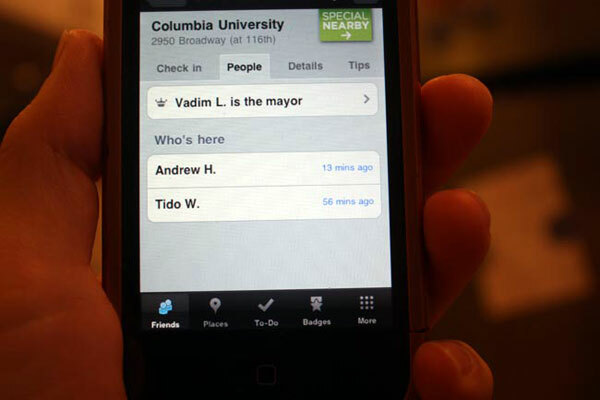 “No faceless dictatorships on Foursquare!” Heyman says. Additionally, if you link up your Foursquare account with Twitter, your profile URL will show up on Foursquare instead of just a user number. 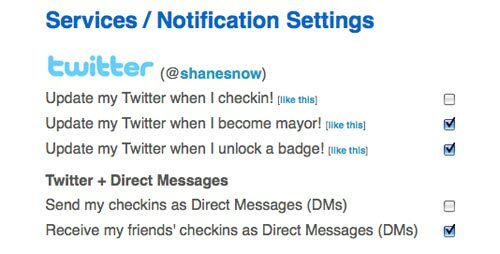 You’ll be able to send notifications to Twitter when you check in places, earn badges, or take over as Mayor somewhere – either automatically or whenever you deem fit. Instead of simply tagging yourself in different spots around the city, keep your friends in the loop by adding short messages, or shouts. You can use these to let people know they’re invited to join you, for example, or to announce what’s happening at the venue you’ve arrived at. After adding a few friends, you may notice messages pop up when you check in at or near venues your buddies have been to. These are tips your friends have left. Suggestions like “try the grilled cheese” from people you trust can go a lot further than the faceless reviews you read on other city guide apps. You can also turn pings off entirely, either for the night or until further notice. Personal example: My wife used to go crazy when my friends would check in at 3 AM (which is often). Once I discovered the ping management feature, she lifted her Fourquare embargo, meaning I can once again go to bed with my iPhone in the same room. Now that you’ve got things down, it’s time to get competitive. Every popular venue has a mayor — the person who has visited the most in a given time period, and mayors are often entitled to perks like free coffee or sandwiches, depending on the place. At the very least, mayorship equals bragging rights, and many a Foursquare user has been unwittingly caught in an epic mayor battle. Going for mayor at your favorite spot encourages you to get out more, which is rarely a bad thing. Plus, new friendships are often happy byproducts of mayor wars. Foursquare is a social network that actually gets you out of your cave and into the real world with other living, breathing people. Once you nail a few basics down, it can add exponential value to your social life. Oh, and did I mention the free sandwiches?